(CNN) The political world is focused on the ever-growing Democratic 2020 field, all jockeying for their chance to beat President Donald Trump next November. But it looks increasingly likely that Trump is going to have to clear a major hurdle before he even gets there: A primary challenge from Maryland Gov. Larry Hogan. 1) Hogan was invited to speak at the “Politics & Eggs” gathering held by the New Hampshire Institute of Politics at Saint Anselm College. A spokeswoman for Hogan told the Baltimore Sun that Hogan is interested in attending(!) but no date had been set. First of all, no politician goes to a “Politics & Eggs” because they just really, really like breakfast food. 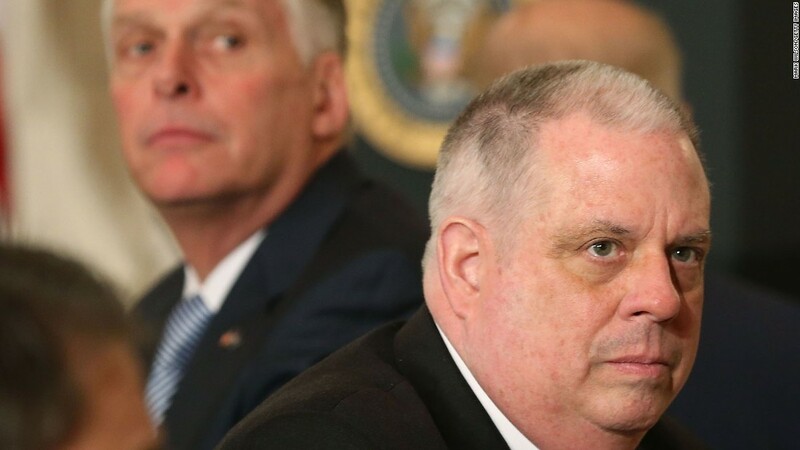 It’s meant to send a signal that “yeah, I’m thinking seriously about doing this.” Hogan is no dummy — he knows exactly the signal he is sending by making clear that once the Maryland legislative session ends, he’s likely to head to the Granite State. Second, Hogan’s criticism of the RNC is striking — particularly for a sitting elected official and someone seen, in some circles of the GOP, as the future of the party. Taken together, those two events on Thursday suggest that Hogan is putting the preliminary pieces in place to run against Trump if the incumbent looks weak enough that a) he can be beaten in a primary and/or b) he cannot win the general election. As I detailed earlier this week, neither of those things are true of Trump yet. He remains very popular with the broad base of the Republican Party, and while he isn’t in the strongest shape for a general election fight neither can he be considered dead on arrival in that race either. All true! And at the moment, beating Trump in a primary is extremely unlikely. But there’s no doubt from his words and his actions of late that Hogan isn’t moving further from the possibility of a primary. He’s moving closer to a bid. If you can’t read in between the lines there, it’s time to get new glasses.